The Value Crisis: When are numbers bad? Two years ago, I wrote a post about SMART goals, wondering whether society had developed a predilection to dismiss any goals or efforts that are not measurable. I defended such immeasurable goals as being perfectly valid. Then last week, a participant in our chapter-by-chapter exploration of The Value Crisis, asked if we should actually avoid SMART goals because they were number-based. This is a common musing among readers: Is the book saying that numbers are bad? Numbers are great. It is our reliance on Number-Based Values that I question. 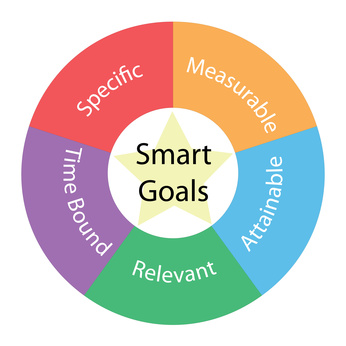 To answer the query that was raised at the meeting, there is nothing wrong with SMART goals. If you can define a goal numerically, then it makes total sense to measure (and celebrate) your progress towards that goal. If you choose to save $5,000 for a two-month vacation next year, I don't find any fault with that particular example of value-based decision-making. Such a goal is not a demonstration of number-based values. Why not? Because we have not defined a situation in which more is always worth more. On the contrary, the ultimate goal is quite specific: taking a two-month vacation. The money is simply a means to an end. Furthermore, the very nature of a properly formulated SMART goal is that it should incorporate a specific target, which can (and should) be interpreted as a definition of sufficiency. Contrast this with a SMART goal that sets an objective of saving $10,000 more every year. Now we are beginning to cross over the line. A goal phrased in this way has milestones but no specific endpoint. The money is no longer the means to an end - it has become the end in itself. And we have made the tacit assumption that more money is always worth more. That's true in a monetary (number-based) value system, but is it true when it comes to our quality of life? Well, that's the $64,000 question, isn't it? This is not an easy distinction to make. As the discussion progressed, another participant asked if it was therefore more acceptable to set a specific dollar goal for money to be saved for your retirement (say $1,000,000) as opposed to setting a goal of a specific level of annual growth for your retirement investments (like 4%, for example). Yes, there are probably subtle differences between the two goals, but I prefer to look at the bigger picture. Is your overall goal really to have a certain amount of money when you retire, or should you be trying to define a certain quality of life that you hope to be enjoying when that day comes? Better yet, perhaps you should be looking at the overall concepts of work and retirement. That inquiry might involve examining your quality of life before your 65th birthday. How many of us devote decades of our lives struggling at jobs that we consider onerous, with the major aim of better enjoying life when (and if) we reach a retirement age? How many youth make life-altering career decisions solely on the basis of how much money they might make for the next four or five decades? In The Value Crisis, I tell the story of how I observed folks in the previous generation 'retiring' but still working, and I asked them to define what retirement really meant for them. It meant that they didn't have to work the same hours, but could choose to. They stopped doing work that didn't interest them, and created understandings where they could take time off to enjoy a new project if an opportunity came up. They avoided long-term work commitments and gave greater respect to their lives away from work Why would anyone wait until they were in their 60's to take that approach to life? So, working from that definition, I declared myself 'retired' before I was 40. It doesn't mean I don't have to earn money any more - of course I do. But it gave me a whole new outlook on how much I need (or don't), and what I am willing to do to get it. My standard of living has gone down since then, but my quality of life has gone up. A smart goal? Well, for the most part, it's worked for me.